A practice founded on solid basic principles, utilizing up to date technology and research findings to provide the highest quality of obstetric and gynecologic care. 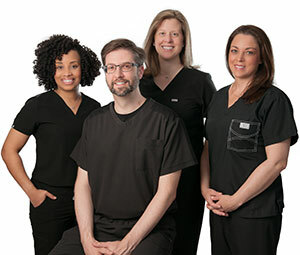 We are a unique OB/GYN practice conducted by a family of three physicians devoted to providing a high quality of care to women. Dr. Wyntrea Cunningham, Dr. Jonathan Faro and Dr. Connie Faro have a combined OB/GYN experience of over 40 years in Houston. Stephanie Meyers, our nurse practitioner, has more than 10 years of obstetrical experience and has recently joined our practice, working with Dr. Connie Faro. In addition to providing general obstetric and gynecologic care, our obstetricians and gynecologists specialize in abdominal/pelvic surgery, vaginal surgery, pelvic reconstructive surgery, laparoscopy and robotic surgery. We also perform a variety of in office procedures, avoiding hospital costs and general anesthesia. In our practice, the basis of providing care is to educate the patient regarding her medical condition. We provide medical and/or surgical management based on a mutual decision by the patient and her physician. We welcome and encourage patient questions. We believe that successful management of a patient’s condition is based on the patient having a thorough understanding of the problem, management options, and the need for follow-up to determine the effectiveness of treatment.